MIAU! MIAU! ES MUY BONITO EL GATO JANE. She's a cutie, isn't she? Glad you all like her so much! Really nice. 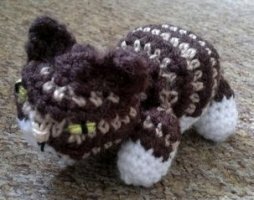 I invite you to see my blog of amigurumi food!! I hope you like it. 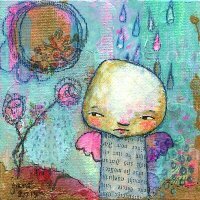 I called by today, Anneris, and your blog & patterns are great! Amazing cat! 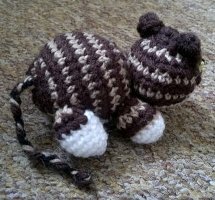 I will definitely be making this little furry friend next!